Enlyte is a therapeutic food that has been designed to help people at risk of functional deficits in folate and methylfolate that may be associated with treatment resistant depression. 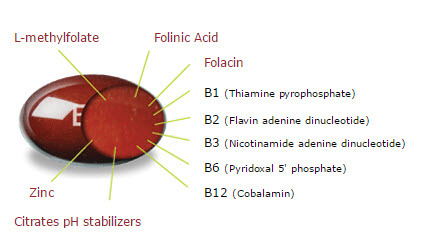 It contains a mixture of folate, folinic acid and l-methylfolate as well as other co-factors. EnLyte/EnBrace HR/EnLyte-D helps with concentration, motivation, and sleep. Symptoms include depressed mood, loss of interest, problems concentrating, insomnia, anxiety/worry, irritability, hyperactivity, impulsivity, and MTHFR genetic issues. EnLyte and EnBrace HR are equivalent products. EnLyte-D is a reformulation of EnLyte that contains 5000 international units of Vitamin D3. To find out the most cost effective option for EnLyte/EnBrace HR or EnLyte-D, simply call the Patient Line at 985-629-5741 and select Option #2. If EnLyte or EnBrace HR is covered by insurance, the patient will call your office back to let you know where to e-prescribe, call or fax in the prescription. If EnLyte/EnBrace HR is not covered on their plan, the patient will be offered two cash pay options.